Four months after the initial launch of Spyro Reignited Trilogy, Activision has finally bowed to fan outcry over the game's incomplete subtitles. 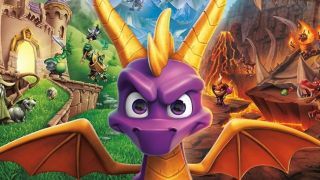 The PS4 exclusive is a modern remake of the original Spyro platforming games on PS1, revamping the iconic purple dragon's adventures with up-to-date graphics and delivering a healthy wallop of 90s nostalgia. But Activision came under fire for failing to provide subtitles for deaf or hard-of-hearing players in the game's animated cutscenes (though they were provided for general gameplay). For an AAA studio with the resources to implement accessibility measures, the exclusion was disappointing, and players struggling without subtitles feeling short-changed. And it seems like the pressure worked. A patch update on March 12 brought in subtitles "in all languages (across all three games) for previously unsupported cinematics", with the option to turn them on/off in the game's Options menu. That includes "character headers to identify active speakers [...] succinct line splits for readability [and] colored text for improved character association in most languages". Other changes include the option to turn off motion blur along with fixes for general camera and progression bugs throughout the game. It's reassuring to see fans' concerns over accessibility taken seriously – both by Activision and the wider industry. Microsoft has made much of its Xbox Adaptive Controller to help people with disabilities enjoy modern games, while the increasingly global audience for digital media has brought an expectation that games will ship in numerous languages with both localized audio and subtitle support. And as long as players keep demanding access measures, it should get harder for big publishers to make the same oversight again.